After all, not everyone takes an off-ramp the same way. Here's the scene that was scaring people: It was a driverless-car test run in Germany on a perfectly straight road with a medieval gate up ahead. The gate was a tight squeeze, and a regular driver would slow down to a crawl to make sure the car fit. But the driverless car made the calculations ahead of time and knew it had enough space, so it cruised along at the speed limit, maybe 30 m.p.h. And as it got closer to the gate, with no signs of slowing down, the passengers lost it. 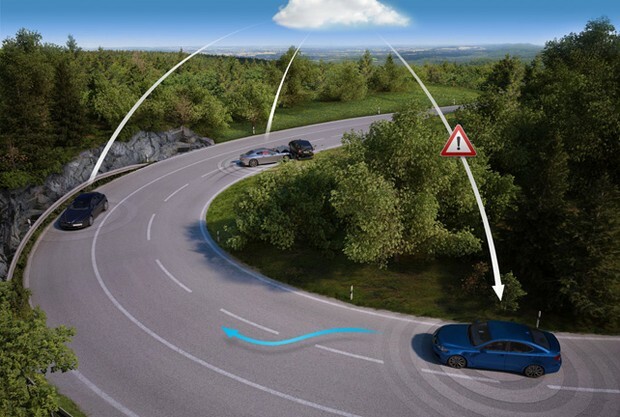 "It's perfectly fine and safe, but the people inside the car, they basically freak out in these situations," says Dietmar Rabel, head of automated driving product management for HERE, an arm of Nokia that's developing data tools to help car companies make driverless cars. "This was the start of this idea that we really need to look at how people really drive in the real world." That idea has grown into what HERE calls the "humanized driving" project. By analyzing a huge archive of data collected through its existing traffic products, HERE has identified behavioral patterns and styles that can be organized into various driver profiles. A "sports" profile might represent a more aggressive driver, for instance, whereas an "economy" profile might suit someone more defensive behind the wheel. Take the different ways drivers use a highway exit ramp. Some slow down dramatically as soon as they merge off the highway, others decelerate more gradually through the ramp, and still others keep driving 55 m.p.h. or so as long as they can. These varying off-ramp styles might be included in economy, comfort, and sports profiles, respectively, says Rabel. Other common scenarios modeled by HERE is how people handle inclement weather, how they change speeds at certain times of the day (turns out there's a reliable dip in speeds when cars head into the sun), how they approach a yellow light, and when they decide to prepare for an exit. A driverless car could safely move into the exit lane at the last moment, for instance, but some people would feel more comfortable doing that earlier. One can also imagine profiles that vary geographically, for both legal and cultural reasons. In New York City, for instance, a driverless car would need to know not to turn right on red. In Pittsburgh, of course, cars notoriously turn left as soon as a light turns green. Such practices could conceivably be built into the mind of the driverless car and programmed to occur based on GPS location. Ultimately behavioral profiles may become consumer options on driverless cars, says Rabel. Maybe buttons let people toggle between "sports," "economy," or "comfort" styles; or maybe a car adopts one singular style. "If you're buying a Porshe you probably don't need the 'economy' profile," he says. That's really up to manufacturers to decide. HERE provides back-end data services to car companies developing driverless cars, but isn't making one itself. (Rabel wouldn't say which specific companies partner with HERE, but he acknowledged it's "fairly known" which auto makers are pursuing driverless technology.) 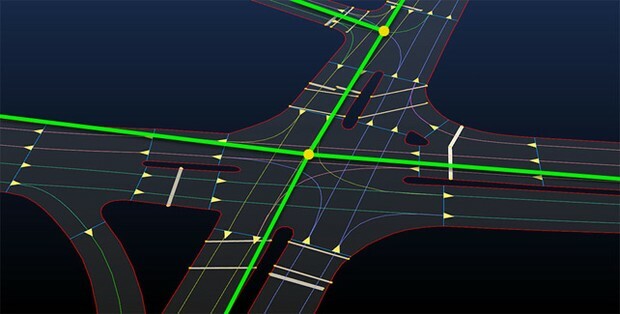 Along with the Humanized Driving profiles, HERE's data services include extremely precise mapping (with "10-20 cm accuracy") and real-time road information (such as crash or weather or construction notifications). The idea of a more aggressive driver profile diverges noticeably from the approach being taken by Google's self-driving car team. For now, at least, Google is programming its car to be as cautious as possible; when I rode in it last spring, the car didn't turn right on red for just that reason. Team leader Chris Urmson told me it's "probably not the right thing to emulate all the human behavior" in driverless cars. Theoretically they could be programmed for road rage, of course, but Urmson hopes people will feel less anxious in driverless cars because they can use their time more productively. HERE is obviously not suggesting that driverless car profiles will or should compromise safety to any extent. That's priority number one. But the point of the Humanized Driving project is that people will expect driverless cars to behave a certain way—at least in the early iterations of the technology—and building driver profiles that meet these expectations might help manufacturers make the ride more comfortable. "There are many other things that could be envisioned," says Rabel. "The sky is the limit. Nobody knows right now what's needed."